The celebrated journalist, producer, and bestselling author takes us on a remarkable culinary journey through "a life lived interestingly, if not especially intelligently." Linda Ellerbee's first two books were instant classics: And So It Goes, a hilarious, unblinking look at television journalism that spent months as a bestseller; and Move On, a wry, intimate look at a woman in her time that became a milestone in autobiographical writing. Now she takes us both farther afield and closer to home in a memoir of travel, food, and personal (mis)adventure that brims with warmth, wit, uncommon honesty, inspired storytelling . . . and a few recipes as well. In Vietnam, preconceptions collide with the soup. . . . In France, lust flares with the pbti and dies with the dessert. . . .In Bolivia, a very young missionary finds her food flavored with hypocrisy . . . while at the bottom of the Grand Canyon an older woman discovers gorp is good, fear is your friend, and Thai chicken tastes best when you're soaked by rain and the Colorado River. It is rare to stumble on a book that you know is going to be a classic. Linda's latest reminds me of A J Liebling's already-classic saga of Paris dining, Between Meals. Liebling, too, was a journalist-gourmet. But Linda's book is possibly greater than Liebling's (and his is one of my favourites). Ellerbee has been everywhere and tasted everything. A Texan who was "going large" long before it was fashionable, and who has probably the most interesting address book in the world, her amazing empathy for people and her eye, ear and tastebuds all become the grist for some exquisite writing. Her respect for others, self-mockery, love of adventure and occasional sharp tantrum makes Take Big Bites a genuine literary achievement. Dare I propose that Ellerbee should be taken more seriously as an important American writer(I write this as a Brit). If Ellerbee had not become a TV star, she would have made plenty of reputation for herself with words alone. The charm of her TV scripts was always her clarity and precision - something not common in that industry. This book shows Ellerbee once again in perfect command of her stories. It is a memoir, a cook book, a statement of love for the world and its people, toldin a unique voice. Buy this book and you will feel happier. This is not really a five-star book by the somewhat devalued standard of these evaluations, it is a perfect 10. Did I mention that I love this book? I remember Linda Ellerbee on Overnight, a late-night TV newscast that was considered ground-breaking at the time, before CNN. The news was serious, but she and her co-anchor, Lloyd Dobyns, seemed to be taking it all with a grain of salt, enjoying their gig while all the grown-up anchors were asleep. It was fun to watch reporters who weren't taking themselves too seriously. For the most part, Ellerbee maintains that attitude in Take Big Bites, but it's a bit difficult when you've been through a few marriages, breast cancer, and reporting from war zones. Take Big Bites isn't exactly a memoir, it's a collection of essays and memories of places she's been, people she's met, food she's eaten. You can take it in order, or skip around, as Ellerbee has done. I suggest small bites, contrary to Ellerbee's advice. A little bit of Ellerbee goes a long way. Her first encounter with pho,Vietnamese noodle soup is amusing, and so is her reaction to Singapore. But there is a bit too much homespun philosophy for my taste, as well as James Taylor lyrics. I like JT as much as anyone who came of age in the Seventies, but quoting him this much seems like an odd 'blast-from-the-past'. It seems to me that if you're going to write a memoir, you need to be prepared to offer your readers a "warts and all" account instead of whitewashing your life. Ruth Reichl does that here -- obviously a lot of people were upset by her revelations of extramarital affairs (and don't forget, her first husband played around even more than she did), but she is honest with her readers, and I admire that. 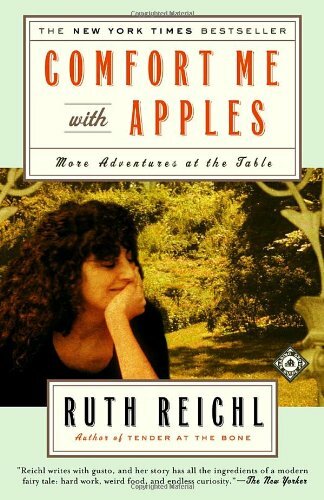 I was a big fan of Reichl's first volume of memoirs, TENDER AT THE BONE, and this continuation of her story captivated me from start to finish with its beautifully written accounts of great meals, wonderful chefs (including Hollywood star Danny Kaye), and Reichl's personal ups and downs. I loved the chapters set in exotic locales like China, Thailand and Spain, as well as the stories about Wolfgang Puck and Alice Waters. The story ends with Reichl's pregnancy as she is living in L.A. and working as the restaurant critic for the Los Angeles Times. Obviously much has happened since then, including her stints as a reviewer for the New York Times and her current position as editor of Gourmet magazine. That leads me to hope that there will be a third volume of memoirs before too long -- I can't wait! Thank goodness the waiter slipped coffee into my decaf. Yes, I was up all night, but it gave me time to read "Comfort Me With Apples" in one huge, delicious sitting. If you read and liked Ruth Reichl's previous memoir, "Tender at the Bone," then run out and get this one--it's better. And if you haven't read Tender at the Bone, then get this anyway, or just make your life better and get both. I'd initially shied away from reading this book because sophomore efforts are rarely as good as the originals, because the first few pages, when I scanned them, looked awfully dreary (all those Berkeley folks giving Reichl a very hard and preachy time of it, complaining that her new job as a restaurant reviewer means selling out), and because of some negative reviews on Amazon. Now that I've reread those reviews, I'm surprised--some people seem to have read such a different book than I did. But I just figured out what the problem must be. 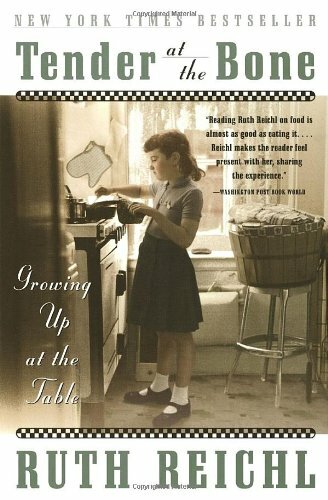 Reichl is a devoted foodie and food writer, but she is also an eloquent and moving memoirist. 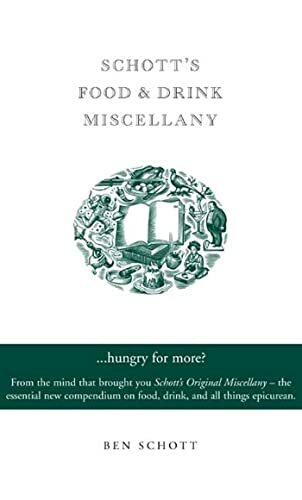 If you've come to her work looking for insight only about food, go elsewhere (I suggest Jeffrey Steingarten's The Man Who Ate Everything, or AJ Liebling's Between Meals). But if your interested in lives--women's lives especially--and how they intertwine with careers and passions (Reichl's passion being for food among other things), get this. Reichl is definitely and consciously writing in the tradition of MFK Fisher, who used food as a prism to write about a thousand other things. Reichl's chief story line is about her career as a restaurant critic and a reporter on the scene of the great revolution in Californian (and hence American) cuisine. Contrary to one reviewer, I didn't think she's telling this story to show off; her insights about Alice Waters, Wolfgang Puck, Fisher, and others are worthwhile and fascinating. Her subplot is her personal life--divorce and remarriage, the death of her father, the adoption and loss of one child and the birth of another. In the hands of another writer these personal details might be mawkish or dreary; I found them wonderfully engrossing. Of course there are problems with the book. I agreed with many others that tales of trips to China, Thailand, and Barcelona at times seemed more like magazine articles than a coherent part of a memoir. Unlike others, I didn't like the recipes at the end of each chapter; I found it intrusive to go from an emotionally wrenching description of the end of an affair, for example, into chirpee cookbookese ("count on a pound of asparagus per person. Buy the fattest stalks you can . . . ") The memoir parts of the book could have been slightly more self-reflective; Reichl needn't show regret she doesn't feel for the affairs she had during her marriage, but it would seem natural to acknowledge them as something the merest bit more troublesome than the decision about which main course to choose at La Tour d'Argent. Nevertheless, the book overall was wonderful, warm, lusty, passionate, filling, generous, and evocative. I recommend it highly to anyone with an interest in food, life, or love. This book is beautifully written. The honesty with which Reichl shares the joys and pains of her early professional career, and her ongoing exploration of food and of herself, will offer comfort, hope and inspiration to any reader, regardless of their understanding or passion for food. This is a book that reaches beyond the kitchens' of "foodies" and into all of our lives to offer us an outlet to contemplate the place of confusion, pain, and longing that so often co-exist along side happiness, excitement and fulfillment. Through Reichl's writing, readers are offered an example of how to look inwards at ourselves, and outward at the world, with compassion. Unquestionably unique, demonstrably delightful, Michael Broadbent's Vintage Wine is the culmination of one of the most extraordinary careers in the world of wine. Michael Broadbent quite possibly knows more about fine, old wines than anyone else alive, and he writes about them with unparalleled expertise. Hired by Christie's in 1966 to revive their wine auctions, Broadbent threw himself into his work, searching out great collections of the world's finest wine--and keeping meticulous tasting notes. Here are evocations of Chateau d'Yquem from 1784--one of Thomas Jefferson's favorites--and hundreds of vintages and thousands of wines right up to the present. Years of "cellars visited and pillaged, involving the checking and packing of dust- and grime-laden bottles in distinctly dank and chilly conditions," jet-set auctions around the world, legendary tastings and society events, have all helped to create an unrivalled store of vinous anecdotes as well as an unsurpassed wine-tasting history. "The most renowned vintage of the late 18th century and well-documented thanks mainly to the original copies of the letters and orders of Thomas Jefferson. . . . Jefferson did not trust wine merchants and insisted on bottling at the chateau. . . . The wine has a warm mahogany-amber colour with a pronounced yellow-green rim. Initially, the nose, unsurprisingly, was creakingly old but after fifteen minutes settled down to reveal a remarkably rich, tangy, honeyed scent." Never mind: The author, Michael Broadbent, is British, and the British have always leant that way. He is also one of the Great Men of Wine: revitalizer of Christie's wine auctions since 1966, writer, advisor, globe-trotting taster and collector of anecdotes and memories. In Japan such a person is officially labeled a Living National Treasure. 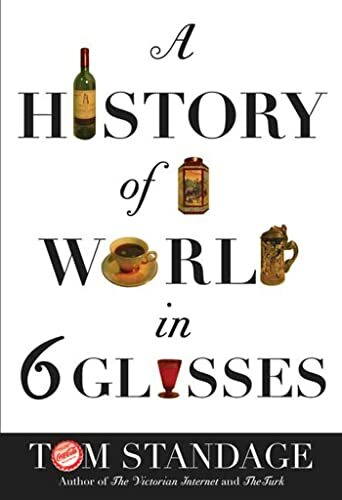 That makes this book of value and interest to the third class of wine drinkers--the Sub-Geek (or perhaps wannabe) who recognizes that his enjoyment of wine can be enhanced by a little more knowledge of its history and traditions, its lore and learing, its famous places and personages. There's a lot of that in this book, and it's always modestly and charmingly delivered. The reader must patiently winkle it out, however. It's all wrapped up in sidebars among those endless pages of tasting notes (about 500 of them) and is sometimes hidden inside individual tasting notes themselves. This is the sort of book that will grace a shelf for a long time. There's no possibility of reading straight through it, and that's the wrong approach anyway. This book sits and waits for those late evenings with a last glass and an inquiring mind. It is to be leafed through for the pleasure of Broadbent's company. --Bill Marsano is a wine and spirits writer who has won a James Beard medal and other awards. I first fell under Mr. Broadbent's spell during my earliest days as a fledgling sommelier. His slender volume, Michael Broadbent's Complete Guide to Wine Tasting and Wine Cellars (1982) has long been, like they say about middleweight boxers, pound-for-pound the best book I've ever read about appreciating wine. When the wine auction scene arrived in Chicago in the mid-eighties. I can still remember attending some of the first few events at the University Club, sponsored by Christie's and conducted by the legendary MB. I was overwhelmed watching him lead auctions, but way too shy and in awe of him to introduce myself. Because MB is a wine tasting hero. He's quite possibly the most accomplished wine taster in the world, certainly when it comes to Bordeaux, and heir to centuries of Britain's dominance as the arbiter of European and thus the world's best wines. This book, Vintage Wines, is a compilation of tasting notes spanning his career. It presents notes on thousands of wines in MB's impeccable, staccato style in which he is often able to elucidate the innate character or value of a wine in a few succinct phrases, along with his 0-5 star rating system. It also weaves in wonderful details of vintages, wines, and people he has known and loved. Mr. Broadbent is a classicist, by which I mean his definition of quality predates Robert Parker's arrival on the wine scene. Inconceivable as it may be to many Americans, good wines were both made and enjoyed before Parker redefined the terms. Which is not to say that Parker adds no value to the debate, it's just that more modest authorities like Mr. Broadbent advocate a traditional style of wine making in which the individual character provided by soil and climate is given its expression rather than the creation of souless fruit-bombs. Finesse, breed, elegance, typicity, potential to improve with age, but most of all drinkability and compatibility with food are the hallmarks of great wines for Mr. Broadbent. Nothing illustrates the comparison better or helps you understand why you would want to consult MB's notes more than a look at the ratings of the same wines presented by MB's Vintage Wines, the Wine Spectator, and the Wine Advocate. Are they all talking about the same wine? Who is right? Only you can be the judge. While this happens to be a wine that MB doesn't much care for, you can get a good feeling for how his notes work. It's important to point out that he is definitely willing to call a spade a spade when he doesn't like a wine and the book has many such graceful and witty putdowns. Back to the book itself. 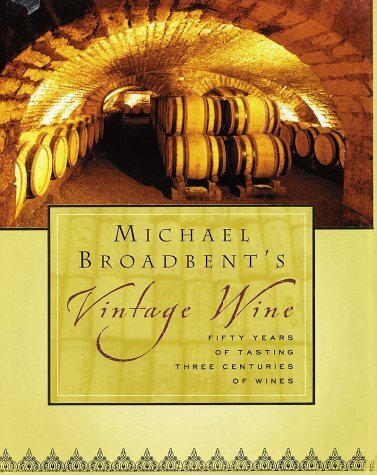 The book is arranged by wine growing region, and while it touches all corners of the wine world, the pages devoted to each area are a telltale sign of where Mr. Broadbent's passion and experience lie. For example, here are the regions with the most notes, with pages in (): Red Bordeaux (150), White Bordeaux (46), Red Burgundy (58), White Burgundy (29), Germany (50), Italy (18), California (35). Each chapter starts out with a few paragraphs of background and then presents the notes, all arranged by vintage from the oldest to the most recent. Fortunately, the book was published in time to allow him to include some notes from the heralded 2000 Bordeaux vintage. I think it would be fair to say that Mr. Broadbent has access to and gets to taste a lot higher quality of wine than most of us, so many of the reviews are probably for wines that we will never see let alone get a chance to try. He starts each Bordeaux vintage with the first growths and the Burgundy vintage with DRC wines, such that if I bought a single bottle of each in one vintage it would cost more than I spend on wine in total in a good year. So that brings us to the downside of this wonderful compendium. What is it good for? If you're a die-hard MB fan like me, it's a treat to enter his world and vicariously taste yourself through his lifetime in wine. For others, it will prove valuable if you've got the money and inclination to buy great wines at auction (and avoid some over-rated clunkers). Even then, it's not by any means exhaustive, and if you're buying anything but the best of the best you can't always find what you want. For many of us it's a little like having your nose pressed against the glass, wishing that just once we'd get to taste (or even smell!) the 1945 Latour that MB has tasted and dutifully logged 28 times. Throughout human history. certain drinks have done much more than just quench thirst. As Tom Standage relates with authority and charm, six of them have had a surprisingly pervasive influence on the course of history, becoming the defining drink during a pivotal historical period. Alton Brown, host of Food Network's Good Eats, is not your typical TV cook. Equal parts Jacques Pépin and Mr. Science, with a dash of MacGyver, Brown goes to great lengths to get the most out of his ingredients and tools to discover the right cooking method for the dish at hand. With his debut cookbook, I'm Just Here for the Food, Brown explores the foundation of cooking: heat. From searing and roasting to braising, frying, and boiling, he covers the spectrum of cooking techniques, stopping along the way to explain the science behind it all, often adding a pun and recipe or two (usually combined, as with Miller Thyme Trout). Alton Brown is the mastermind behind the Food Network's show, "Good Eats". As "Good Eats" success began to blossom, Alton decided to try his hand at a book. 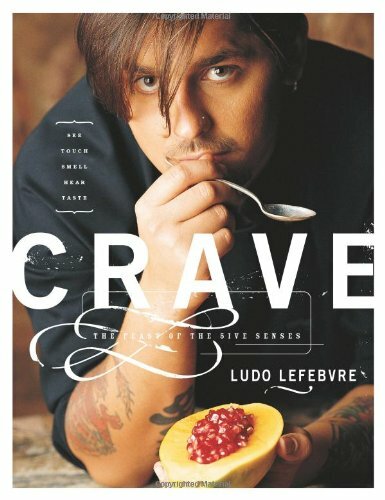 As fans began to wait in anticipation of "I'm Just Here For The Food: Food + Heat = Cooking," it was assumed that this book would be a take off from his show "Good Eats". However, it is not, but does show you what Alton enjoys most of cooking - the science, the understanding of what goes on in the kitchen. The book's chapters are divided into cooking processes, such as grilling, braising, microwaving and more. In each chapter, he explains the type of heat, what method is best for applying this heat and some recipes as examples. By understanding the heating process, and thus, the science behind cooking, the more in control of each meal or recipe you will be. He explains scientific terms in a manner in which a layman can understand. He also explains those unspoken rules to cooking that most cookbooks do not explain, either from the assumption that you went to culinary school too, or because the writer did not know these rules either. His usual humor and wit is ever present in this book. In fact, you feel like Alton is actually reading the book to you! He uses his own terms for things, such as "software" (food), "hardware" (pots, pans, and utensils) and "application" (cooking process). He even has funny diagrams and photographs in case you wanted an extra chuckle. Also included in this book is an explanation of ingredients, such as the varieties of butter: unsalted, clarified, whipped, buttermilk and margarine. So, if you were at all confused, you will no longer be. At the end of the book, he includes recommended reading, so we can be just as smart as he is, plus places to purchase our food and supplies! And not only was this a great book, it received a James Beard Award in 2003 for the Best Reference Book! So, you just have to buy it now, because! Seriously, if you want to understand more about what is going on in your kitchen, and how to enjoy your cooking, buy this book! Sure, you can follow a recipe, but did you ever wonder why it says to "rest" a cut of meat after cooking? Or how exactly to properly sear or saute something? Or do you follow instructions and end up with dry, overcooked, or otherwise inedible food nonetheless? Then Alton Brown's I'm Just Here for the Food: Food + Heat = Cooking is definitely for you. Alton's tone makes the book a quick and enjoyable read. Capturing the essence of his Food Network program "Good Eats" in printed form, the book's text is often funny and always informative. Illustrations accompany the text in strategic locations, including one particularly funny one demonstrating the consequences of poor safety when deep frying. The book covers the basics from searing to grilling to broiling to cooking with water (steaming, simmering, etc.) and frying. Each section explains the processes at work and the reasons each technique should be used and why they work. 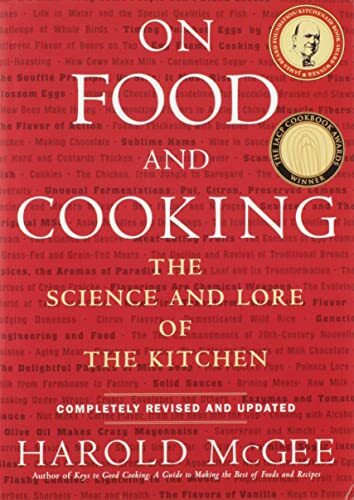 Whereas other texts do cover the same techniques as this book--and some even delve into the hows & whys behind the various methods of cooking--Food + Heat = Cooking makes the explanations readable and memorable without coming across like a textbook. Fans of Brown's show on Food Network will certainly want the book. However, don't buy this book if you're looking for lots of glossy, yummy photos of food. Do buy it if you can't get recipes to work correctly or find their directions unclear or just want to improvise on occasion and have your dishes turn out great. Although the book does contain quite a few recipes, its true value is in the techniques and the whys & hows of cooking. I don't consider myself a chef, but I love to cook, and people love what I cook. This wasn't the first cookbook that I read from cover to cover either. However, I have never enjoyed a cookbook quite so much. It is very entertaining and informative. I've been cooking for years, and yet, I learned so much from this book. I learned some new cooking techniques, and although I was already familiar with quite a few of the techniques that Alton Brown uses, I learned why I do it that way. My picata recipe only varied slightly from Alton's but his was definitely an improvement! I really think men would read and use this cookbook more than any other. I will probably be getting a copy for my son. There are a few typographical errors that I've discovered as a transcribe some recipes into my recipe program, such as 1/4 tsp ground in the Marinated Flank Steak Recipe. I decided to ignore that ingredient, and my recipe still turned out fine. I don't think he meant dirt...did you, Alton? Anyway, I still give it 5 stars and recommend it highly!! Hey, Alton, where's the sequel? Really great book, one that everyone should own. Fans of "Good Eats" will appreciate it even more. I have two complaints: The book is very big and heavy, so I had to make a special place for it on one of my cookbook shelves; a lighter book would be easier to handle. I also would love to see Mr. Brown write a similar book that focuses on the many sweets he has done on his program: ice cream, pie, fudge, etc. If you better understand *how* when you know *why*, and you learn best when entertained, I'm Just Here for the Food is your cookbook. It's actually better stated as a how-to-cook book organized by method of heat transmission, with some exceptions such as the chapter devoted to eggs. All the publishing details are done right here also, such as the index, bookbinding, color, readable typeface, and useful appendices and equipment and safety. Using sound science sugar-coated with humor, I'm Just Here for the Food aims to fulfill the adage that if you give a man a fish, you feed him for day; teach him to fish, and you've fed him for a lifetime. Alton may not teach you how to fish, but count on learning how, when, and why to grill, braise, fry, bake, poach and more. This book is a perfect companion to his "Good Eats" TV show, as he uses and recommends the same techniques and tools throughout without being redundant on the recipes. Unlike some of his TV chef counterparts, Alton generally employs ingredients and utensils found well within a modest budget, and he doesn't clown around with flashy but impractical dishes meant to delight barking-seal audiences. Awful, awful, and even more awful. This is hands down the worst book I have ever purchased. It is neither a cookbook, nor a historical portrayal. It seemingly cannot make up its mind on what it wants to be. There are about 50 "recipes" if you can call them that. None have been updated, and none are complete. Measurements are in grams and 99% have absolutley no instructions - the "recipe" is just a list of ingredients. For the few that do have instructions, those consist of comments like "make like dumpling" as the ONLY instruction for the entire recipe. Do not purchase this book if you are looking for a historical cookbook, as not one single recipe is useable. This book is a testimony to the towering reaches of the human spirit. 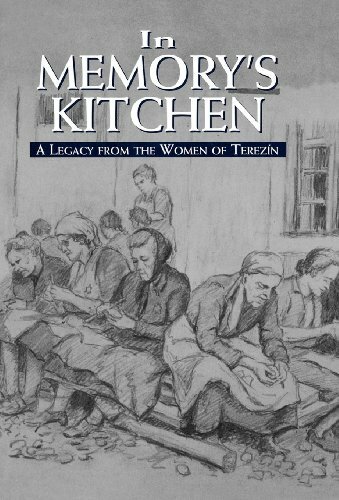 In the midst of the horrors of Terezin, surrounded by suffering, deprivation, and death, hungry women recorded recipes of warmth, comfort, and abundance. They remembered cooking delicious meals, serving delicacies and caviar, making aspic, cooking many varieties of dumplings. The hand-written cookbook they put together demonstrates that although the Nazis held their bodies captive, their spirits remained free, drawing strength and nourishment from their memories of happy days and fully-laden tables. Despite the wretched conditions of the camp, these women dared to hope for a time when they could return to their kitchens and once again rejoice in feeding their families. Baking bread is mysterious enough. But creating truly great pizza--the transformation of next to nothing into something extraordinary--is downright alchemical. It is for no small reason that there are distinct words in Italian for those disciples of these mystic arts who bake pizza and focaccia, pizzaiolo and focacciaiolo. Peter Reinhart, he who gave us Brother Juniper's Bread Book and the multi-award winning The Bread Baker's Apprentice, takes the reader of American Pie: My Search for the Perfect Pizza right into the heart of the matter. Reinhart begins his inquiry into pizza with his baseline palate memory for what a great pizza should be. As a teenager he had worked in a pizzeria, Mama's, and instinctively knew this pie to be the best. Returning as an adult years later, he discovered otherwise. Had he changed, or had the pizza changed? Both, it happened, were true. So what is the nature of perfection, and where do you go to find it? In the case of Peter Reinhart, this journey includes travels through Italy and across the US. This is Part One of the book, called The Hunt. It's not the most enlivening travel writing, which would have helped elevate the insights into the nature of great pizza and the people who make it happen. But it's only a third of the entire package. The best is yet to come. In Part Two: The Recipes, Reinhart comes entirely into his own. Here is the master at work. Chapters include "The Family of Doughs", "Sauces and Specialty Toppings," and "The Pizzas." Reinhart gives you the building blocks, no matter what your kitchen, tools, and oven might be like. And then he unfolds the roadmap--pizzas from the strictly classical to the strictly whimsical. I have loved pizza for more than 50 years and Peter Reinhart's American Pie is nearly as good as any pizza I've had from San Francisco to Naples. His recollections of pizza from his youth to his travels around the U.S. and Italy in search of the best pizza kept me turning the pages while my mouth watered for another "perfect" pizza. I learned of new pizza destinations, even nearby, and new versions to try at home. But most important I learned what it takes to make great pizza. It might be the reason why so many people who make their own in my backyard wood-fired oven say it is the best they've ever eaten. Peter Reinhart became my baking idol after baking from "The Bread Baker's Apprentice". I couldn't imagine that he could write a book that could top that one, but he did with "American Pie". Once you try grilling pizza you'll never go back to spending 1 hour preheating your baking stone. It is the best way to make a pizza. Don't let it intimate you...the dough want fall into the fire. I was able to achieve great results with a gas grill. Everything that I've tried was delicious and can't wait to try the rest of the recipes. Peter Reinhart is THE best! After reading and using the recipes in The Bread Baker's Apprentice, Peter Reinhart became one of my favorite cookbook authors. 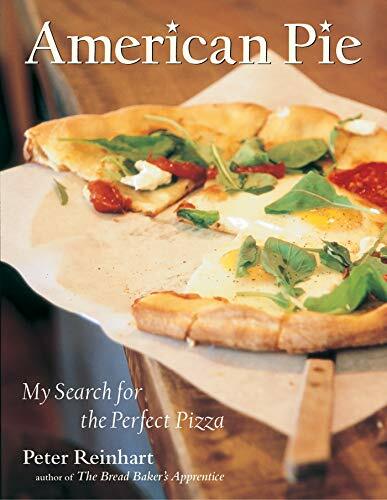 American Pie is a beautiful book, with entertaining stories about his quest for the perfect pizza, and the best recipes for pizza you can hope for. Reinhart is "the" father of Bread, and all his books are masterpieces not to be missed by serious or amateur bakers wishing to accomplish the very best results. Pizza. Short word full of memories. Peter Reinhart brings us along his culinary journey to find the perfect pizza. Travelling through Italy and the US he lets us sample the different types of pizza: Roman, Napoletana, New York style, etc. As a keen reader of his other works I know that this guy knows what he is talking about. It is hard not to dribble over the pages! The book instructs you on how to make the different types of pizza crusts, sauces and toppings, as well as how to get the best results out of your oven. Highly recommended for anyone that loves simple food made with love! The Mekong region, which extends south from China through Laos and Thailand to Cambodia and Vietnam, offers extraordinary food. Hot Sour Salty Sweet, which takes its name from the principal taste sensations of the region's cooking, provides an unparalleled culinary journey through this fertile land. Though the book contains a wealth of anecdotal material, its great strength lies in its 175 recipes, explicit formulas for the likes of Shrimp in Hot Lime Leaf Broth, Lao Yellow Rice and Duck, and Hui Beef Stew with Chick Peas and Anise. The breadth and substance of this authentic yet approachable collection is truly exciting; readers who cook from the book (not difficult to do once ingredients are assembled and techniques understood), as well as those searching for the best kind of armchair travel, will be delighted. If you love flavour, you have to have this book. 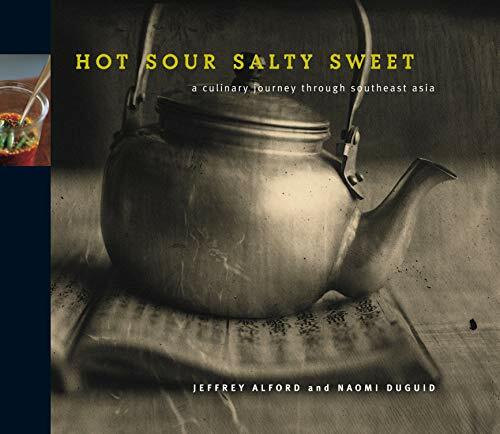 Thai food introduced many of us to that culinary balance of hot, sour, salty and sweet, which gives this book its name. Alford and Duguid reveal the similarities and differences in the cuisines of neighbouring worlds along the Mekong. I've been fortunate to help test for the authors, and this collection is my favourite so far. Many of the recipes are now in my daily repetoire, to the delight of family and guests. Choose a spice paste or sauce to transport a simple meal into another realm. That's not to say it's all complex; recipes such as Yunnan greens, or Dali Cauliflower satisfy with a few well chosen ingredients, simply prepared. I had to resist the urge to jazz it up, and was glad to have followed the recipe and learned something new. If anyone out there is looking for quality and exquisite taste in Southeast Asian cooking, this is the book for you. Excellent instructions, very flavorful recipes and beautiful photographs. This book has it all. A must have in your kitchen. The experience in cooking these recipes is outstanding. A remarkable book. Buy it and see for yourselves what this book has to offer. AMAZING!!! We own two other very good Asian cookbooks - and think this is a great cookbook - wonderful text that is fun to read on its own, and then also good recipes. The recipes are easy to follow and are accompanied with beautiful pictures that whet the appetite. We have some favorite meals from the book that we make regularly. Only caveat - we love our food hot, so we always at least triple the chile the recipes ask for. This is a terrific book. I own so many cookbooks I don't use that generally before I buy a new one, I get a library copy and test some recipes. Prior to borrowing this book, I tried out 3 different Thai/SE Asian cookbooks, and rejected them all for being either too complicated for everyday cooking, or not "authentic" enough. One look at this book and I ordered it. The recipes have been uniformly excellent-- the grilled chicken with hot and sweet dipping sauce and several of the vegetable dishes introduced me to delicious taste combinations that I have never experienced in Thai restaurants. More common dishes such as the stir fried chicken with holy basil and the pad thai are as good as-- or better-- than most of the restaurant Thai that I have had. I can't wait to try more. The ingredients are relatively easy to find, and they do suggest substitutions in many instances. On top of all that, it is a beautiful book to own. I am definitely buying multiple copies of this book to give as holiday gifts this year. With most cookbooks, you have to make a choice between style and content: it's either for the coffee table or the kitchen shelf. This book is different. It keeps going back and forth between my living room and kitchen. The authors stay true to their subtitle, and take you on a seductive journey down the Mekong. The text features diary-like entries and beautiful photographs that make reading the book such a great experience. But the carefully-written and reliable recipes are the true stars, and yield terrific results. The scientist in the kitchen tells us more about what makes our foods tick. 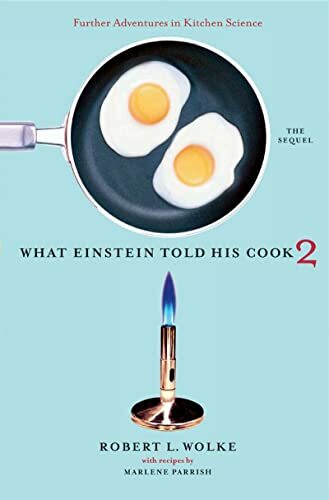 This sequel to the best-selling What Einstein Told His Cook continues Bob Wolke's investigations into the science behind our foodsfrom the farm or factory to the market, and through the kitchen to the table. In response to ongoing questions from the readers of his nationally syndicated Washington Post column, "Food 101," Wolke continues to debunk misconceptions with reliable, commonsense answers. He has also added a new feature for curious cooks and budding scientists, "Sidebar Science," which details the chemical processes that underlie food and cooking. Entertaining Foodie Read plus Superior Explanations. 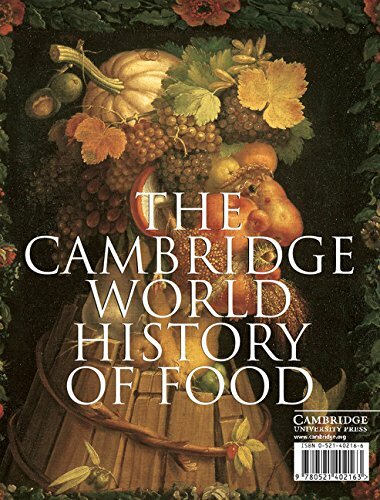 "This book of what science can tell us about working with food. It is one answer to my wish that every TV chef who is attempting to teach cooking to us foodies take a two semester course in chemistry. The book is not a rigorous approach to the chemistry of sugars, salt, fats, chemical leavenings, heat, acids, bases, and the like. Rather, it is a collection of enhanced answers to questions posed to the author in a regular newspaper column. This makes the book more interesting to read, if a little less available as a resource to applying its teachings to new situations." This statement is equally true of the second volume. And, I must believe Professor Wolke has read this comment in my review or elsewhere. In his introduction he recognizes that his little columns are all answers to specific questions; however, science, by its nature, is `all tied together' in theories which enable its predictive and explanatory powers. Thus, Wolke says that in order to explain the answer to two related questions, we may find him repeating himself now and then, as he does over and over when he invokes how proteins denature by unwinding themselves and wrapping themselves into tight knots, leading to, for example, cooked eggs or tough cooked meat. I have absolutely no problem with that within the context of his format of question and answer. On the other hand, this format does not lend itself to be used as a source for looking up specific answers to questions that were not asked by the people writing into Dr. Wolke at the Washington Post. This is a small but real problem, made all the more frustrating because buried in the answers to some questions are some real gems of wisdom such as Table 5 on page 222 which gives the best kinds of sauces for various shapes of hard pasta. As good as the battalions of Italian cookbook writers are in covering their field, none of them has, to my recollection, put things quite so succinctly. This illustrates that genius in writing about cooking is not so much in what science you use, but in how well you present the answer. And, with a few small reservations, it is in this talent where Professor Wolke is a champion. While I may still vote for Alton Brown as my favorite TV foodie, Wolke has mastered the connection between Science, English, Food, and his audience. One of my favorite examples of how Wolke successfully addresses an issue is on the matter of cutting onions and tears. For starters, he corrects Alton Brown's error in attributing the tearing to sulfur trioxide dissolving in the moisture in your eyes, thus creating a weak sulfuric acid solution. In fact, if any sulfur oxide gas is involved, it is much more likely to be sulfur dioxide which, when dissolved in water, creates the much weaker sulfurous acid. Wolke goes on to say that the phenomena is due to a number of different causes, which makes absolute sense, because if there were a single cause, then the chances of finding relief would be much higher. Wolke goes on to show the problems with all the various remedies. He and Alton agree on the importance of a sharp knife, although I use an extremely sharp Japanese vegetable knife when dicing onions, and I tear like a two-year-old on a jag. Sticking with onions, Wolke gives an excellent explanation of the French vintner's notion of `terroir' and how it relates to the lower bite of Vidalia onions. And, he correctly points out that it is fewer nasty compounds rather than more sugars which make the Vidalia and its cousins milder. There are three general areas where Wolke could stand some improvement. While I was a journeyman chemist, I was an expert on linguistics and linguistic philosophy so, first, I find Wolke is occasionally a bit inconsistent in his use of works such as alkali (the opposite of acid). Early in the book, he says that alkali should be reserved for the extremely strong bases such as sodium hydroxide and potassium hydroxide, yet I see him frequently using `alkali' for things that are just a tad over pH 7. The second quibble is that while science and the arts have long ago come to a détente and science and religion seem to be at an armed truce, Wolke constantly takes potshots at aspects of legal and political practice. It in incredibly easy for someone schooled in the doctrines of science to take pleasure at the apparent foibles of political practice, yet the people in the political world have problems of entirely different nature than either science or art, so cheap shots at food regulations, for example, are just that, cheap. The last problem I see is with Wolke's humor, especially in his little `Foodie's Fictionary' blurbs. I'm afraid I found not one of them very funny. Sorry. I think most of the humor in his main text is pretty basic and certainly welcome, but Alton Brown does not need to fear his position as the leading culinary class clown. The book would have been just a wee bit better with a good bibliography on food science references. New in this sequel are sidebars on various scientific issues. Most of the really valuable reference stuff is in these sidebars. What you may wish to do is stick some of those cute little post it note tabs on the sidebarred pages and write a word describing the topic. This is a really great book to take to your armchair and read from cover to cover. If you liked the first, you will definitely like this one as well or better. If you have read neither and you have an interest in food, buy both now! If you are looking for useful information to cooking questions you've always wondered about, look elsewhere.Harold McGee's "On Food & Cooking" and Shirley Corriher's "Cookwise" are both full of useful and interesting stuff.Wolke tries to be cute, and some may like his sophomoric style, but I couldn't get past the first chapter.Now who do I know who is dumb enough to like this drivel? Worthy Sucessor to the first book! Why does iced tea turn cloudy? Will coffee stay hotter if I put the cream in right away or only when I'm ready to drink it? Why are there sulfites in wine? How can I get a red wine stain out of a tablecloth? Why do onions really make me cry? Why are "sweet" onions sweet? When an banana ripes and gets sweeter, does it contain more calories? What is a free radical? What makes mashed potatoes gluey? How can I best match a pasta shape with a sauce? Does marinating work? (suprising!) What's the difference between browning and caramelizing? Why do we cook with wine? A Cook's Tour is the written record of Anthony Bourdain's travels around the world in his search for the perfect meal. All too conscious of the state of his 44-year-old knees after a working life standing at restaurant stoves, but with the unlooked-for jackpot of Kitchen Confidential as collateral, Mr. Bourdain evidently concluded he needed a bit more wind under his wings. The idea of "perfect meal" in this context is to be taken to mean not necessarily the most upscale, chi-chi, three-star dining experience, but the ideal combination of food, atmosphere, and company. This would take in fishing villages in Vietnam, bars in Cambodia, and Tuareg camps in Morocco (roasted sheep's testicle, as it happens); it would stretch to smoked fish and sauna in the frozen Russian countryside and the French Laundry in California's Napa Valley. It would mean exquisitely refined kaiseki rituals in Japan after yakitori with drunken salarymen. Deep-fried Mars Bars in Glasgow and Gordon Ramsay in London. The still-beating heart of a cobra in Saigon. Drink. Danger. Guns. All with a TV crew in tow for the accompanying series--22 episodes of video gold, we are assured, featuring many don't-try-this-at-home shots of the author in gastric distress or crawling into yet another storm drain at four in the morning. Anthony Bourdain has fallen pray to the same trap as Bobbie Flay and Emeril Lagasse (as he will remind readers of the book throughout in small segments describing the pains he went through to help the TV series), but at least he is honest about it. 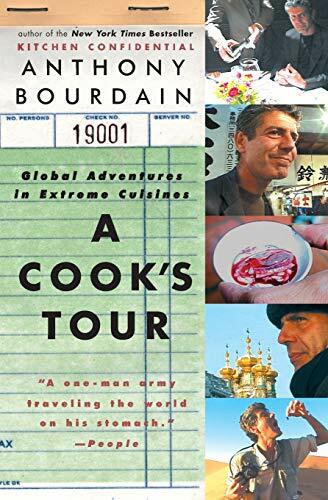 The premise of this book, and the TV series that it is a companion to, is for Bourdain to travel around the world looking for the perfect meal. His travels take him throughout asia, into Europe, Africa and even parts of the US, as he looks for culinary delight. He describes with admirable detail the food, people, and culture of the places he visits, often with vary favorable comparisons to our own culinary culture. He regrets the US' "refridgerator culture" and how we have lost track of where our food comes from. Mixed in with the food talk is some other random rantings and ravings, as can be expected from him. The paragraphs on Henry Kissinger, and the comparison of Cambodia to Vietnam are probably the most off topic in the book, but you can tell that he wrote them which a lot of personal feeling. Bourdain is a pretty engaging fellow, and his writing, while not some stellar example of perfect prose, has a very personable feel to it that makes the book quite the pleasant read. 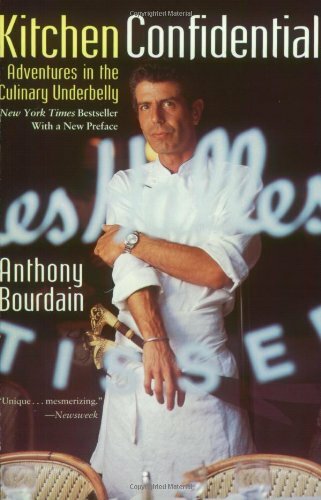 What comes out more in the book than the TV series, was that this was his plan to exploit his fame from "Kitchen Confidential". He knows full well that he has become that which he has professed to despise, but his open and honest acknowledgement of it deserves some respect. It's hard to fault the guy for taking this opportunity when he could, for it's plain that he truly enjoyed touring the world, and most of the food that he found. Anthony Bourdain admits cheerfully to selling his soul to the devil [television] in order to carry out his childhood James Bond world adventure fantasies. Along the way he experiences joy, fear, awe, and nausea. Those looking for recipes will be disappointed: those looking for hilarious and insightful descriptions of how food is cooked and served around the world will be thrilled. Bourdain never forgets the importance of food culturally; he packs the book with interesting tidbits on how a cuisine is shaped by necessity [what kind of livestock can you raise in an enclosed town?] Many of his experiences, particularly in Mexico and Vietnam, leave the reader with a feeling of loss. Food in the United States frequently consists of a fast food hamburger eaten alone in front of a television set. The "third world" may be poor but they haven't lost the ability to make food a source of shared joy. The author's lack of open-mindedness made this book very judgmental. I was very disappointed because there was little information on the food he ate. Instead, the pages are filled with cliches and stereotypes (many of these have nothing to do with food), but little insight is presented because he only sees things through his pre-conceived notions. 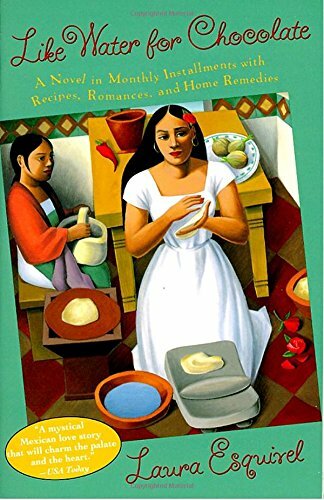 This book is highly recommended if you want to learn how to feel good by making fun of other cultures and peoples, but for those who want to learn a bit about different culinary traditions, reading this book is a waste of time. The book can be cut down to 50 pages if these cliches are removed. I am more interested in what he ate or observed (descriptions!) rather than his explanations on why these people came up with these customs and dishes (sort of cultural determinism). Many people should have helped him in these countries he visited, but I wonder whether he has the nerve to translate the content of this book into their native languages. The author should be able to criticize if he wishes, but it is not fair to make fun of the people who helped him in a book which, he knew, they would not read. I thought Kitchen Confidential was a good read but this book is even better. The details he gives you on the food he tries all over the world either make you salivate or want to vomit depending on what he is tasting. Half the fun of the book, however, is anthony's take on the countries, people, culture and adventures he has while in the countries. Some were so frightening it was like a suspense book. Others were endearing. At times I wished I were there with him and at others so glad I was not. Definately a fun read but also deeper than that. His chapter on going to France with his brother is more about the loss of their father and not being able to "go back home" again than about food. There are lots of chapters with similar hidden themes about life and human nature. With more and more chefs achieving celebrity status, interest in the exciting world of today's leading chefs is higher than ever. Essential reading for anyone who loves food, Becoming a Chef gives an entertaining and informative insider's look at this dynamic profession, going behind the scenes to look into some of the most celebrated restaurant kitchens across the nation. More than 60 leading chefs-including some of the newest up-and-coming-discuss the inspiration, effort, and quirks of fate that turned would-be painters, anthropologists, and football players into culinary artists. This book takes the reader beyond the glamour of the celebrity chef and into the fire. 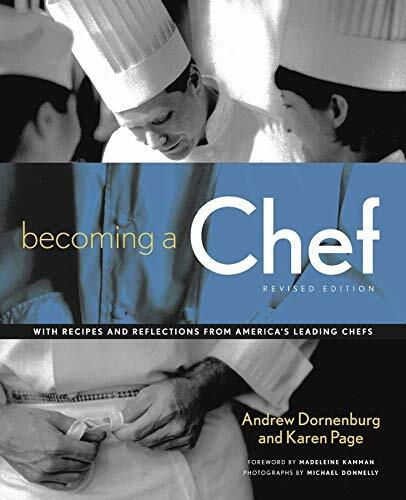 Anyone considering entering the culinary feild must read this book. The authors speak with passion about the food culture and what is required to acheive success. One of the best books ever written about the restaurant biz. What's it like to be a food writer? What's it like dining at some of the world's best restaurants, as well as some of the worst? What's it like to share your opinion about food and restaurants with readers around the world? 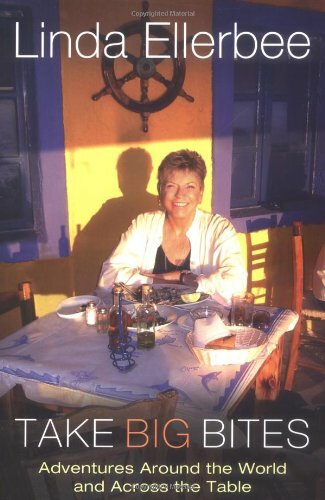 Mimi Sheraton is one of the most renowned food writers and restaurant reviewers in the country. And perhaps the most frequently asked question is, How did she do it? Her response is simple: "Live my life." 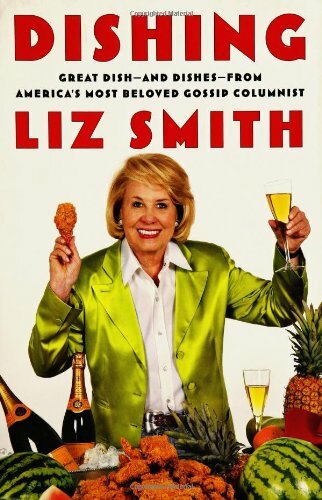 Now, in this entertaining and candid memoir, the doyenne of food critics provides a heartfelt and poignant look at the events of her extraordinary life. A devoted journalist, Mimi's engaging style and meticulous research have made her the standard by which restaurant reviewing and food criticism in the United States is measured. In Eating My Words, she describes how she developed her passion for writing about food and travel. Witty and straightforward, Mimi takes you on an engrossing journey of memorable meals, unforgettable people and outrageous experiences. Travel with Mimi from her childhood growing up in a food-loving Brooklyn family with a very demanding mother ("You call that a chicken?") and a father in the wholesale fruit and vegetable business, through her college years in Manhattan and her rise to fame. Best known for her work as the restaurant critic at the New York Times, Mimi relates her experiences from how she landed the job there to why she left eight years later. As a journalist, she has tasted and reported on some of the world's finest cuisine, including three-starred French restaurants, and on some of the most dismal food imaginable, from hospital and public school meals to the often unrecognizable fare served in airplanes and fast food chains. Forthright and never afraid to be controversial, Mimi talks about the importance of a reviewer's anonymity and the excitement of making a new culinary discovery like the now notorious Rao's, and then sharing it through her writing. She reveals some of her most challenging moments, right down to a masked appearance on French television with several well-known French chefs that ended in a mini-brawl. Fueled by her passion for food, wine and travel, Mimi Sheraton's memoir is a degustation that is as engaging as it is enlightening. 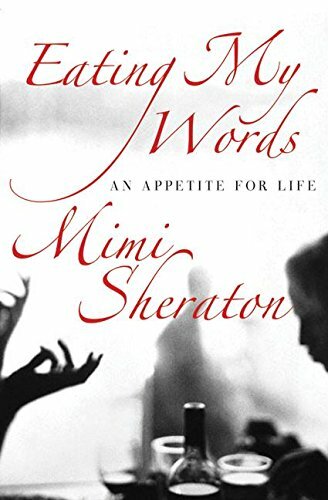 A true reflection of this bon vivant's voracious appetite for life, Eating My Words is an irresistible treat you will savor word by word ... and will feel utterly satisfied. By Bill Marsano. Years ago, in the slim hope of making myself useful on a certain magazine, I often volunteered to edit Mimi Sheraton's column. She was counted a tough cookie by the other editors, who preferred saps. My stock did in fact rise through self-sacrifice, and so did my free time, for the fact was her column was a breeze. Keys to Sheraton's style were sticking to the subject and not showing off. Her judgments were measured, not designed to become sound bites; the meal was the star, not the reviewer. Here she does write about (among many other things) herself, and what an interesting self she turns out to be. She covers a lot of ground, including childhood before the war (i.e., World War II); college-girl adventures in New York City (especially funny: her story of breaking up with a civilian boyfriend while being attached to two other guys in the armed services); early work in home-furnishings journalism; plunging into food writing through a passion for travel; her ups and downs as a nationally known food critic for the New York Times (and other publications) and her attempts at improving what professionals call "volume feedings and mass management" and the rest of us call jail, airline, school and hospital food. Sheraton has a fine line in dry wit and is always informative: Most readers will learn some surprising things about restaurants and reviewing. She lists the 20 most-asked quiestion and answers every one, and provides a good idea of the pressures applied to a critic by big-name restaurateurs--and by people who think they're critics just because they run a newspaper. (Odd--but I don't think the Times has reviewed her book. Odd.) But she isn't dishy. Anyone looking here for gossip, innuendo and the settling of scores has come to the wrong place. Sheraton conquers but she does not stoop. And she does it all in 240 pages. One reason is that she writes tightly and tartly. (At least one other well-known "foodie" has published two books, totaling nearly 600 pages, and isn't finished yet.) Another is that she speaks often of wonderful dishes but gives no recipes. Good for her. Recipes are turning up in lots of places they don't really belong these days, including mysteries and popular novels. I usually suspect that means the author hasn't really got the goods, and knows it, and hopes I won't notice. (For much the same reason I resist nutritional puns traditional in this sort of review. I refuse to call this a "bubbling bouillaisse of a book.") The only time she comes close to such nonsense is with her brisk instructions (maybe a dozen words?) for how to make a Jewish chicken--or a chicken Jewish. Sheraton's 240 pages go rattling by--there's no padding--and because even now I read as an editor, I ticked a few things: I disagree with her use of "ascribe" and "masterful," and former New York City Mayor John Lindsay would, if he could, on personal orthography. Once where she says Michelin I'm almost certain she means Gault-Millau, but that's about it. (Come to think of it, where was the copy editor?) In all, the experience was like those long-gone magazine days: great reading and effortless, too.--Bill Marsano is a professional writer and editor. Why hasn't the New York Times reviewed this book? Ms. Sheraton is a former NYTimes employee; the Times even published her restaurant review book. She tells a lot-not all, I'm sure, -but enough to learn about how newspaper management attempts to influence a journalist even on the level of restaurant reviews. Ever wanted to enjoy "behind the scenes" anecdotes direct from, quite probably, the nation's most famous restaurant critic? Great foodie stories; learn some interesting dining, cooking ideas and definitely get a few chuckles.